Cook up a pasta feast with this wonderful Hape pasta pretend play set for kids! everything a little chef needs to make and serve a favourite meal. 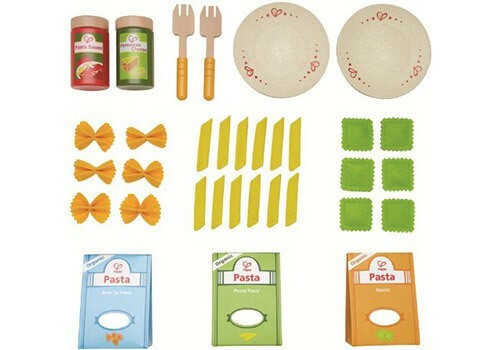 Kids will love play pretend cook with this pasta set toy. one of the cutest cooking sets we have seen in years. 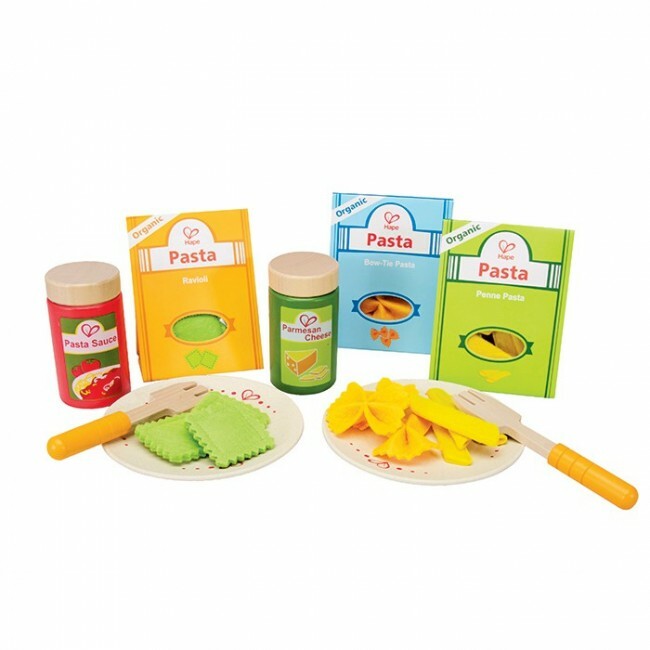 The Hape Pasta Set includes: a box of felt bow-tie pasta, a box of felt ravioli, a box of felt penne, a wooden jar of pasta sauce, a wooden jar of paresan cheese, 2 wooden plates and 2 wooden forks. Lots of imaginative play fun to be had making different pasta recipes and social skill development in serving them up to family and friends. Hape Pasta Set is Made from wood, felt, cardboard and non-toxic paint. 3 assorted pasta shapes and accessories. Encourages imitative and imaginary play; promotes fantasy story telling, role playing, and creativity.